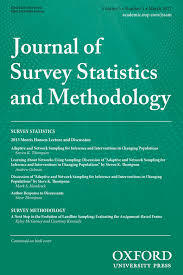 This article assesses whether—and to what extent—turnout bias in postelection surveys is reduced by adding a short nonresponse follow-up (NRFU) survey to a mixed-mode survey. Specifically, we examine how the NRFU survey influences response propensities across demographic groups and political factors and whether this affects data quality. We use a rich dataset on validated voter turnout data, collected across two different ballots. In addition to the main survey that comprises computer-assisted telephone interviews (CATI) and web respondents, both studies include a short follow-up mail survey for nonrespondents. The results demonstrate that collecting extra information from additional respondents on so-called “central” questions is worth the effort. In both studies, the NRFU survey substantially increases representativeness with respect to sociodemographic and participation variables. In particular, voters and politically active citizens are more accurately represented in the NRFU survey. This tends to result in better estimates of turnout determinants in the final (combined) sample than is seen from CATI/web respondents only. Moreover, the increase in response rate and the decrease in nonresponse bias comes at almost no price in terms of measurement errors. Vote overreporting is only slightly higher in the mail follow-up survey than in the main CATI/web survey. ← Misinformation and Polarization in a High-Choice Media Environment: How Effective Are Political Fact-Checkers?